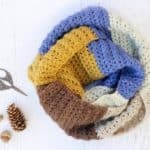 Share this list of awesome gifts for crocheters with your spouse or family to give them some not-so-subtle ideas about what you might like this year! 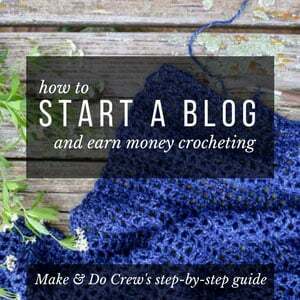 So that you can spend more time crocheting and less time list-making, this post contains affiliate links at no extra cost to you. Thanks for supporting Make & Do Crew! I am terrible at coming up with ideas when people ask me what I want for Christmas. Even though I spend all year delaying purchases, saving them instead for my supposed Christmas list, when game time comes, I’m always left asking for boot socks and solid color shirts. 4. 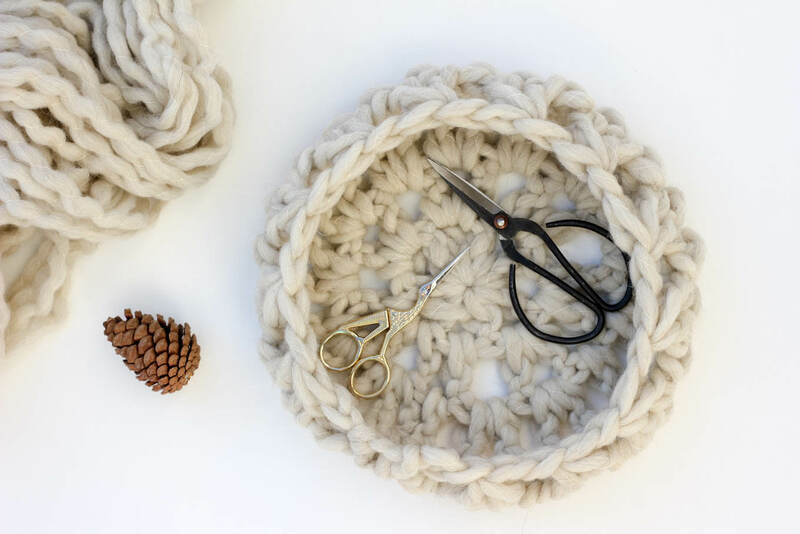 Fancy Smancy Scissors – Yes, scissors can be a totally utilitarian instrument in your crochet tool kit. But they can also be so PRETTY! It makes me so, so happy to pull out my scissors from Paper Gold Co or my Gingher embroidery stork scissors to trim my yarn. Ugly scissors can do the job, but so can buying an afghan from Target. There’s a reason we crochet it instead. There’s joy in the process. Especially when your scissors are beautiful. 5. Pretty Much Anything From Yarn Mamas – Krista is a fellow crocheter and the mama behind Yarn Mamas, a collection of comfy clothes for makers. 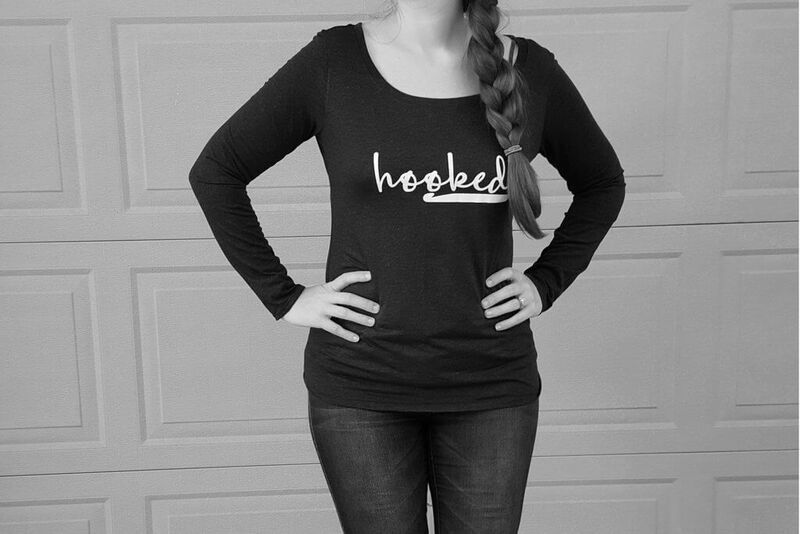 I love this “Yarn” sweatshirt and this “Hooked” shirt is perfection! Wear your maker pride proud! 6. Books to Improve Your Craft – As a blogger, you might expect me to say the internet is the answer to everything. But I actually find myself referencing my crochet books frequently for stitch inspiration and clear, concise answers to my crochet questions. A few books that I find really valuable are “Basic Crochet Stitches,” edited by Erika Knight and “Simple Crocheting: A Complete How-To-Workshop With 20 Projects” also by Erika Knight. 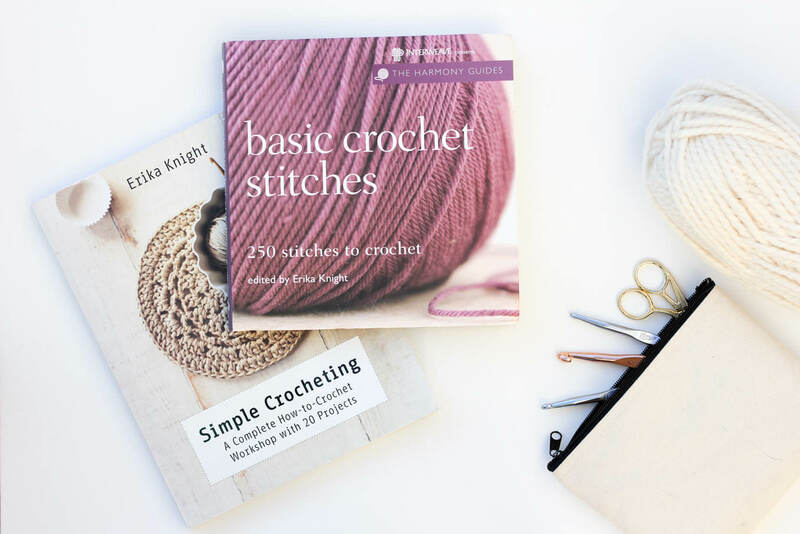 Whether you’re a beginner or a experienced crocheter, you’ll find yourself flooded with new modern crochet ideas in these two books! 7. A Super-Sized Crochet Is Bae Mug – Toni is a yarn friend of mine and she has designed the cutest mug for those of us who like to sip tea or coffee while we crochet. 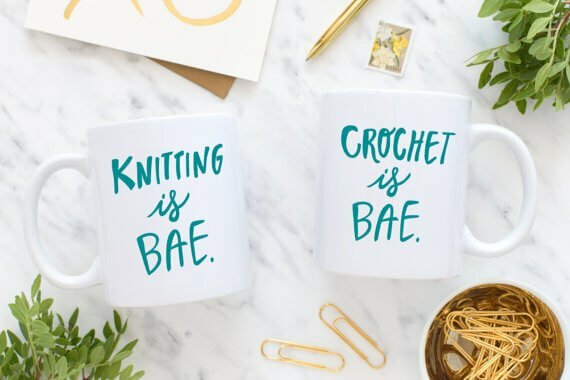 Now, if you’re like I was and have no idea what “BAE” means, let me just save you the trouble of pestering the nearest millennial and tell you that it’s an acronym that stands for “Before Anything Else.” Crochet before anything else. Sounds about right to me! 9. A Hook Organizer from Chetnanigans– This company is special to me because it’s both a mom and pop shop and I used to live near them in VA. 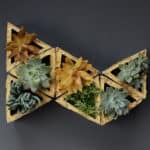 If you’re like me and lose hooks faster than you can buy them, you need one of these nifty hook organizers! 10. 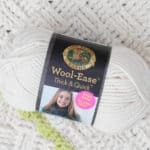 Yarn – Did you think I was going to make a list of gifts for crocheters and leave off the most important supply!? Craftsy, Michael’s, Knit Picks and Joann’s are all having huge Black Friday sales this week, so if there’s some yarn you’ve had your eye on, send your little elf to go order it! 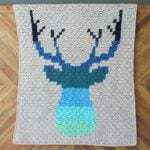 Alright, that’s my personal list of the best gifts for crocheters. Have I left anything off? I’d love to hear what you’re asking for this year–maybe you’ll give me some ideas! I totally added several of these to my list! 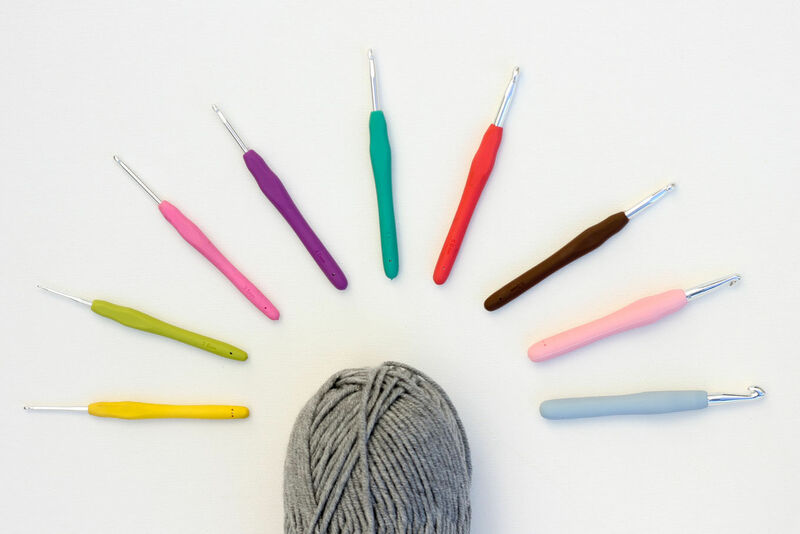 I’m actually going to get the ergonomic crochet hooks for myself since I added them too late 😉 LOVED this roundup! Yay! I actually bought two sets of these hooks because I tend to lose hooks and I never wanted to be without the perfect size. I hope you enjoy them! What? lol. Are you serious?? Stay hip to the culture my friend…. Hey 🙂 Some Millennial insight here: The word bæ supposedly means poo in another language, so don’t use the a and e smooshed together like that. BAE and bae are acronyms that mean Before All Else. The only difference is that e being backwards and touching the a vs. written normally. I do love those scissors you have! Mine are Fiskars brand HUGE scissors that I commandeered off of my lovely aunt. 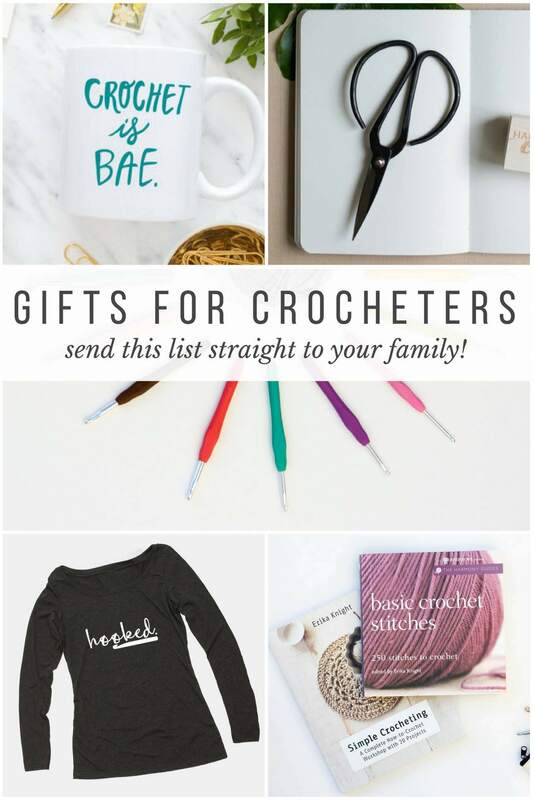 (Of course she doesn’t know that) one day, my crochet supplies will be totally stylish & worth more than $1 😂 thanksgor a great list!